The Energy Roundtable Breakfast organised by the Institute Français de Relations Internationales (IFRI) on 4 June 2013 on ‘East Mediterranean New Offshore Gas Resources: What’s in for Europe’ attracted, as expected, many officials from the Republic of Cyprus, but also European experts on energy security and representatives of the gas sector. Within the latter cluster, there are various subsystems of gas corridors, some independent and others competing with each other. The EastMed region has recently been pinned down in the energy map and the key countries surrounding it are Cyprus, Egypt, Israel, Lebanon, Palestine, Syria and Turkey. As one can imagine, this provides an interesting geopolitical mix where friends and enemies will have to collaborate in order to profit the most from gas revenues. While there are many expectations for benefits of gas resources, not all of the countries are at the same level regarding gas exploration and exploitation. 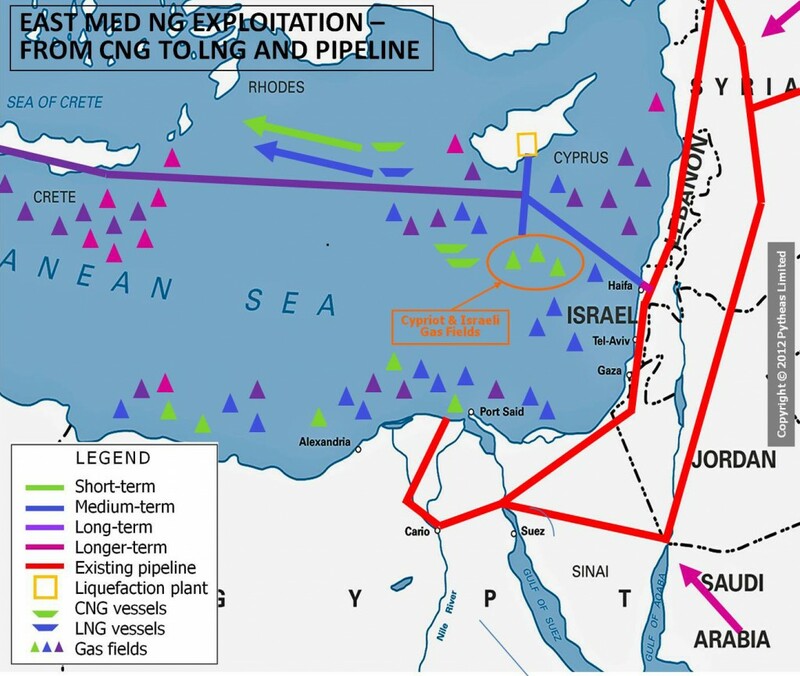 Israel is the only country in the region to possess an advance level of know-how; Cyprus, determined to put the energy project forward, has forged non-traditional diplomatic alliances and managed to attract the interest of global gas companies, but the unresolved dispute with the unrecognised ‘Turkish Republic of Northern Cyprus’ remains an issue. Lebanon is still in a promising situation completing the first licensing round, while it goes without saying that Syria has certainly more important issues to solve. The legal framework to support these initiatives needs to be further strengthened and thoroughly completed in order to become efficient. In addition, as if the situation of EastMed could not be more complicated, there are pending maritime border claims that have not been settled yet and that may potentially trigger the existing geopolitical environment. Interestingly, the position of Greece in this complex set of actors was not mentioned, while Greek Prime Minister Antonis Samaras was announcing the set-up of the Greek Enterprise for Hydrocarbons under the responsibility of the Ministry of Environment, Energy and Climate Change, with the vision to link the Greek interests to the European agenda. The geographical position of Greece, the joint initiative of Greece, Cyprus and Israel to deepen their cooperation, and the positive signs for significant gas resources in the South of Crete, are factors that should be taken into account by the EU as they could prove to be advantageous for its energy security. Whereas the main question of the discussion was ‘What’s in it for Europe’, my question would be ‘What’s not in for Europe’. LNG volumes (Liquefied Natural Gas), though not a game changer, are significant for a Europe with a declining economy that is still struggling for diversification of energy supplies. Of course, investing in gas will not produce tangible beneficial results for Europeans before the next decade. However, forging stronger partnerships with the EastMed countries may have a dual effect: it would contribute to Europe’s energy security and it may also contribute to the stabilisation of the region. This entry was posted on 04/06/2013 by ISIS Europe in Conferences, Elena Marda and tagged cyprus, Energy Security, European Neighborhood, Israel, Turkey.